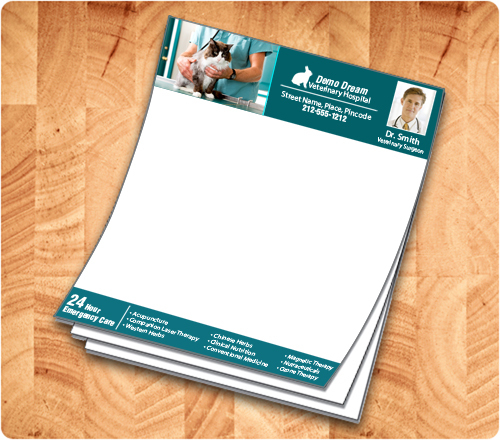 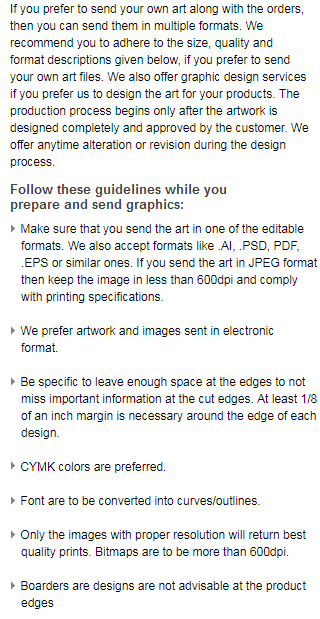 3.5 x 4.25 custom printed veterinary notepads are favored for business gifting by veterinary services and private veterinary practitioners. 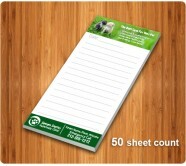 These promotional veterinary notepads are offered in 25, 50 sheets and advertisers can get it customized with any adorable business or personal symbols of their choice. People love to keep such interesting personalized veterinary notepads closer to their reach and it will remind them about pampering or taking their Fido puppy or Tom cat to veterinary.